Green posters at Harlem’s first Whole Foods supermarket, on West 125th Street, announce that it will open in early 2017, as passersby curiously peer through its glass doors. Even before it starts selling organic produce, however, local brokers say the store has already boosted real estate prices. “Since 2012, when the chain announced its Harlem location, residential rents increased 20 percent to 25 percent,” said John McGuinness, president of Harlem Properties, a real estate company that has focused on Harlem since 2013. “The sales prices increased immediately after Whole Foods’s announcement.” Rents, he said would show more effect after the store opens. 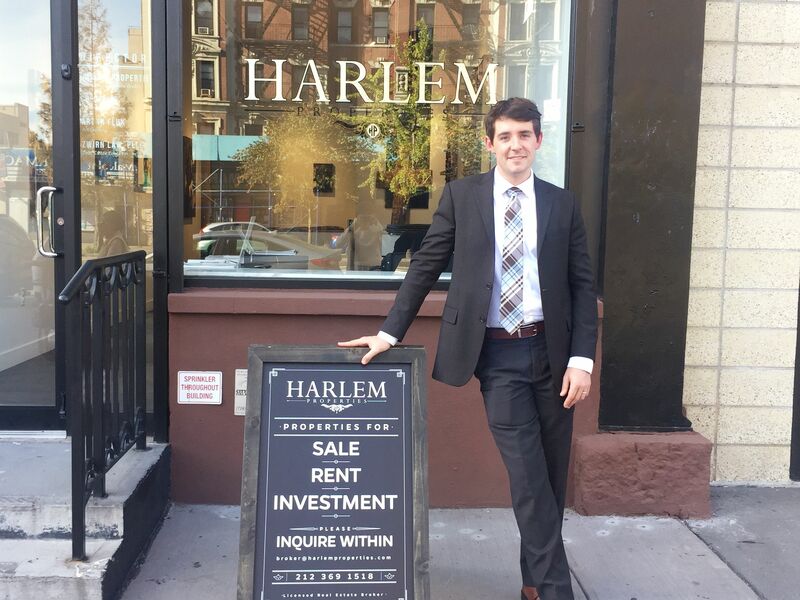 John McGuinness, president of Harlem Properties, in front of his real estate company. The first anchor tenant in a retail and restaurants complex, Whole Foods has brought more businesses, like American Eagle and Olive Garden to the neighborhood, McGuinness added. He sees both residential rents and sale prices rising over the next five years. According to the Upper Manhattan Real Estate Report of Harlem Lofts, a real estate company, the upper Manhattan real estate market grew faster than any other Manhattan’s neighborhood. The average townhouse sale price jumped 54 percent from 2013 to 2015, and prices are still rising rapidly. A townhouse in Harlem last year cost, on average, $625 per square foot. In Harlem Loft’s rental report, the average 2015 rent for a one-bedroom apartment in Harlem was $2,123; two bedrooms went for $2,792, and a three-bedrooms was $3,484. 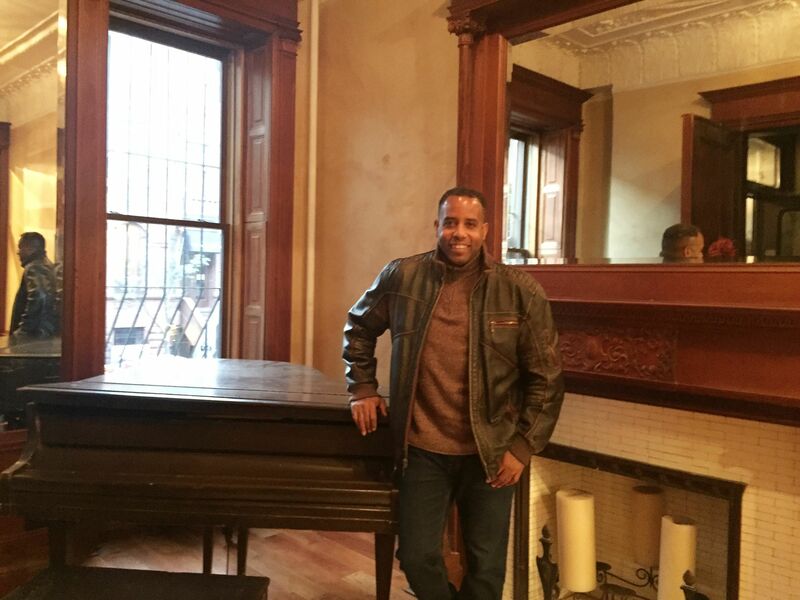 Lance Matthews, 50, is preparing to become a Harlem property owner. “I am planning to buy this house,” said Matthews at an October open house on West 119th Street. The five-story, 5,700 square foot brownstone has 18 rooms. Its asking price was $4.351 million and “it’s worth every penny,” Matthews said. Local residents worry about being displaced, however. Rezoning and affordable housing issues dominated East Harlem’s most recent Community Board 11’s meeting.